Roy Krishna completed a hat-trick in dramatic circumstances as Wellington Phoenix boosted their top-four hopes with a last-gasp 3-2 win over Melbourne City in the A-League on Sunday. The in-form..
Wellington Phoenix 3Melbourne City 2 If that was the Wellington Phoenix's last home game of the season then it was a pretty special way to end it for their home fans.Roy Krishna completed his hat-trick..
▶ Videos for "Melbourne City"
Reuters reports A refugee Bahraini footballer who was held in a Thai prison for more than two months at the Gulf state’s request arrived in his adoptive hometown of Melbourne on Tuesday. 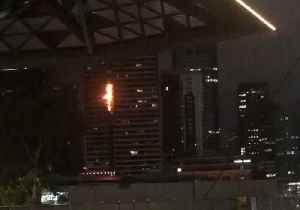 He arrived..
An early morning blaze at an apartment building on the corner of Spencer St and Little Bourke St in Melbourne city prompted evacuations and a large-scale fire response on Monday, February 4. 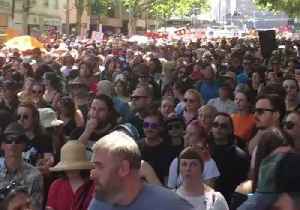 At least..
‘Invasion Day’ marchers hit Melbourne streets on Australia Day, January 26, as part of a series of co-ordinated protests around the country.There were reports of city streets shut down as a.. 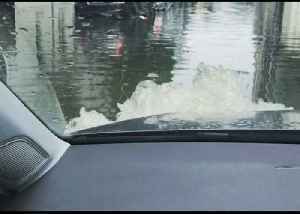 Roads became rivers in Melbourne on Tuesday, November 6, when over a month’s worth of rain fell in the space of a few hours. 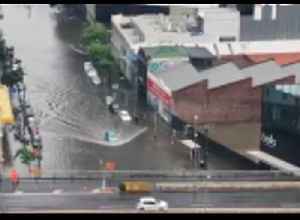 Bureau of Meteorology recorded 35 mm of rain in the Melbourne city.. 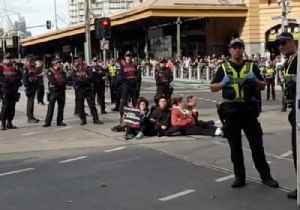 In an unfortunate turn for punters at Melbourne Cup, heavy rain and storms lashed the city on Tuesday, November 6, causing flooding throughout the central business district. 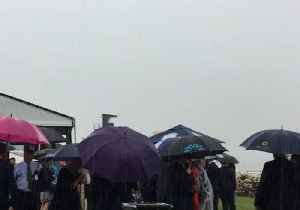 Bureau of Meteorology..
Racegoers at Flemington Racecourse were disappointed on Tuesday, November 6, when storms and wet weather slammed Victoria on Melbourne Cup day. Bureau of Meteorology recorded 35 mm of rain in the..
Melbourne City boss Warren Joyce is under pressure to deliver to keep his job. He reacted angrily when his commitment to the cause was questioned. Melbourne City marquee Jamie Maclaren says his teammates want to know who's coaching the A-League club next season but have to put aside uncertainty over Warren Joyce's future as they gear up for..
Melbourne City are in danger of missing the finals, while Victory opened up the title race in Perth on Saturday night.